1885 Indian Head cents represent the lowest mintage penny of the 1880s, though even still this is a relative statement. 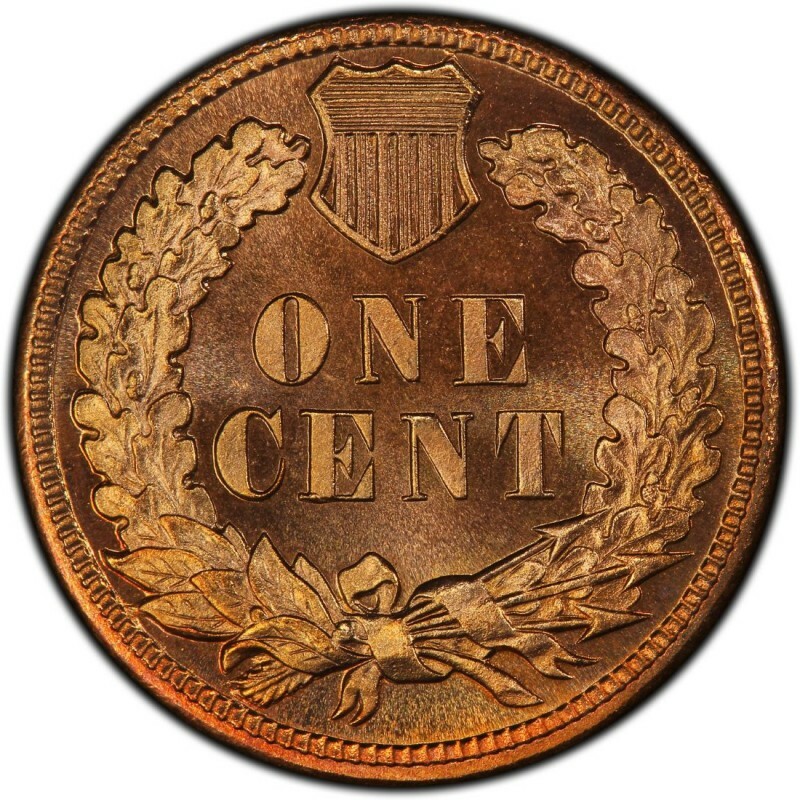 Plenty were struck to meet today’s demands from coin collectors, however, 1885 pennies are considered a better date by most coin collectors and are not as frequently found in rolls of mixed Indian Head pennies as other issues from the 1880s are. 11,761,594 Indian Head pennies were made in 1885, which is a substantial number but nowhere near the 30 to 40+ million seen in most other years from that decade. Good-4 specimens of the 1885 penny retail for around $6. Proof examples, meanwhile, were made in a much smaller quantity of just 3,790 pieces and sell for $1,500. Chief Engraver of the United States Mint James B. Longacre was the designer of the Indian Head penny. Along with Indian Head cents, which were first produced in 1859, he also designed the two-cent coin – the first U.S. coin to bear the words IN GOD WE TRUST. 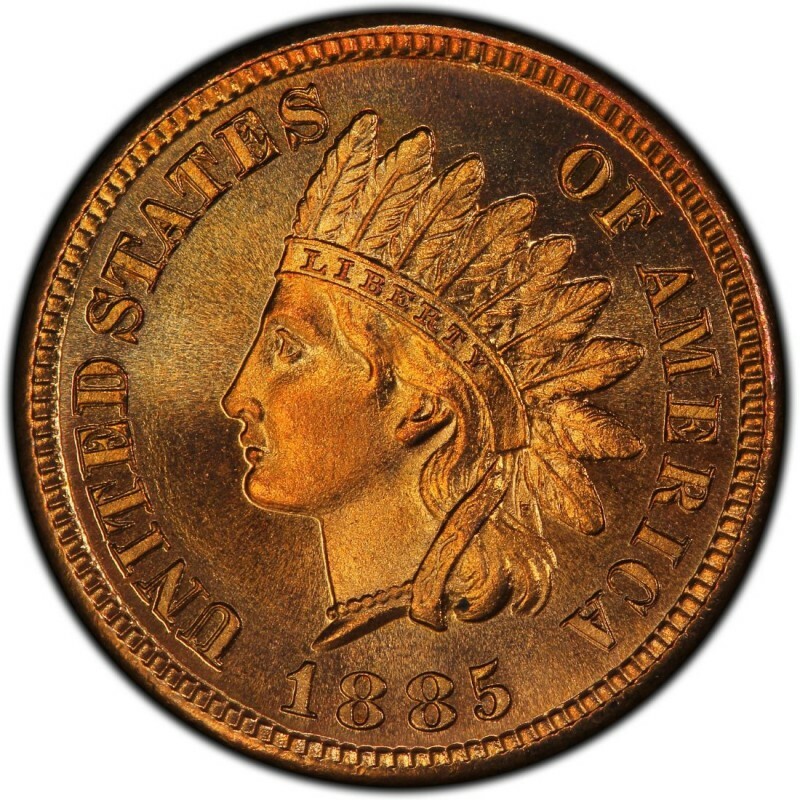 AN interesting note about 1885 Indian Head pennies goes back to the model of the coin itself. While many people believe the figure on the obverse of the coin to be a Native American, that is actually a misnomer. The design represents Miss Liberty and was modeled after Longacre’s own red-headed daughter, Sarah.